Moorgate Finance have helped hundreds of businesses since their inception. View some of our case studies below. When new owners of a large manufacturing company approached Moorgate Renewable Finance to help them improve business efficiency we were happy to help. Having reviewed the previous owners accounts and realising the potential of the company, they wanted to finance two Biomass Boilers with a value of £285,000 + VAT to heat their factory. The outcome- Moorgate were able to offer them finance over 5 years which improved cash flow, significantly reduced their heating bill and added another income stream via the RHI Scheme (an incentive set up to promote and encourage the uptake of domestic and renewable heat energy technology). Logo Studio is part of the Tajima Group, they not only resource and embroider quality garments but they also sell innovative and world renowned embroidery machines. Whether you are starting up, going mobile, expanding or just need a sampling machine, Logo Studio can offer plenty of options to suit your needs. As one of Moorgate’s longest partnerships, we have developed flexible finance options for Logo Studio customers enabling them to sell more machines whilst supporting UK businesses to develop or grow their operations. Little Manor Equestrian boasts some of the finest equestrian training facilities in the South of England offering something for everyone, amateur or professional, including hosting the widely acclaimed British Eventing Littleton Horse Trials. Founded in 2004, the centre underwent significant planning and construction to create some of the finest equestrian facilities in the country. Having developed a reputation in the equestrian industry, Moorgate Equestrian were delighted to support them to buy a new horsebox so that world class eventer, Kate Tarrant, could continue to develop her horses and pave the way in the Eventing and dressage championships. Having developed an excellent relationship with the centre through our specialist Account Manager, we are happy to be in a position to support them with all their business requirements. Boogie Bounce is a new and exciting fitness class that has quickly become a popular sport nationwide. Boogie Bounce uses High Intensity Interval Training (H.I.I.T) techniques to maximise the most effective fat burning process in the cardio section. With over 50,000 website visitors and 90% of the traffic looking for a class, demand is high. Boogie Bounce trains and supports new start-up businesses nationwide, allowing more instructors the opportunity to become certified and more people to enjoy the sport. Moorgate Leisure Finance works with Boogie Bounce to offer their customers financial support to enable them to set up and grow their business. Having worked with a portfolio of start-ups all over the country we have helped them with the initial costs and supported them with cash flow thereafter. Eco Dry Energy is a specialist in the processing, drying and supply of sustainable Biomass fuels. All their timber comes from sustainable sources including managed woodland, saw mills and site clearances. The logs are stored and then dried in a kiln or a continuous flow-dryer to be used by their customers as renewable energy. 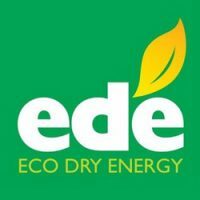 Moorgate Renewable Energy Finance were happy to work with Eco Dry to refinance a Trommel, a large piece of machinery that is ideal for screening bark and compost materials for use as landscaping and soil amendment products enabling them to supply more of their customers with renewable energy. Green Lanes Farming is an established business in the West Country that buys and sells livestock. Demand for their cattle is continually growing and they are investing more & more money to meet their business needs. Having developed a reputation in the Agricultural industry, Green Lanes were introduced to Moorgate Agricultural Finance based on our reputation for providing expert advice and for sourcing the best financial products to meet their business needs. Moorgate Agricultural Finance were able to provide Green Lanes with finance to buy more cattle and to refurbish their sheds within just seven days.